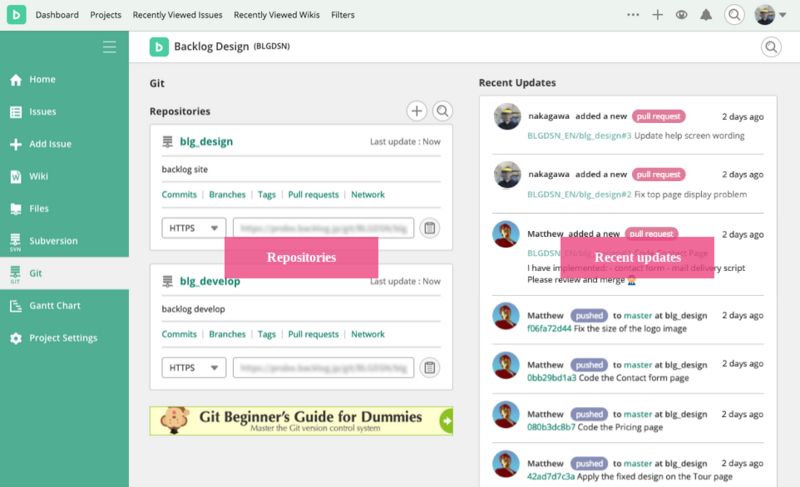 The list of Git repositories and recent updates will be shown on the top Git page. The list of repositories on this Project will be shown. Clicking the buttons next to "SSH" or "HTTP" will copy the URL. Use the “Filter Repository” box to search using a repository name or description. Git related updates, such as pushing by other Project members, new repositories, and new branches, will be shown in chronological order. From here, you can easily access details of recent operations.